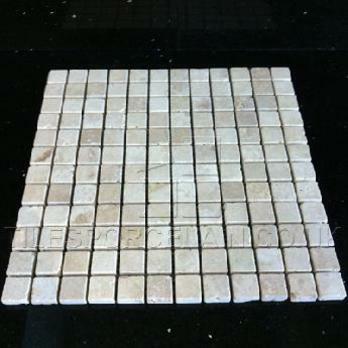 Decorative natural stone travertine mosaic tiles with a light colour can be used to good effect as part of a border or standard wall design. 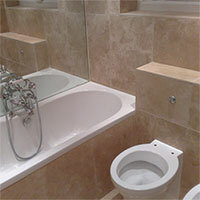 They provide a stylish look in a bathroom or kitchen interior, with the subtle neutral shades capable of combining with a variety of colours and features. 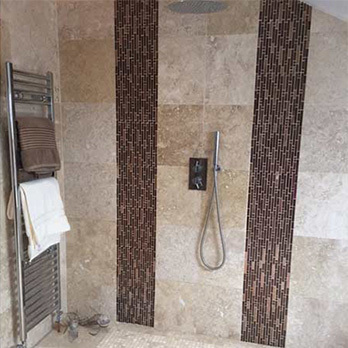 These natural stone mosaic sheets have a flexible mesh backing which makes them easy to use as part of DIY tiling projects. 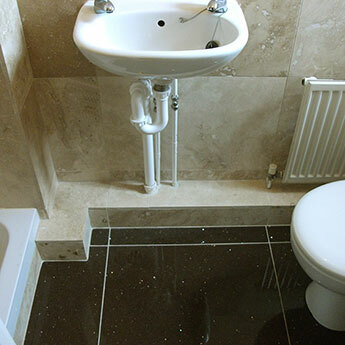 The smooth yet non gloss surface of the individual mosaics is a result of a process known as honing. 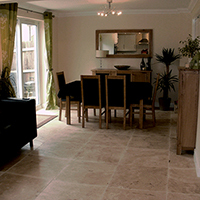 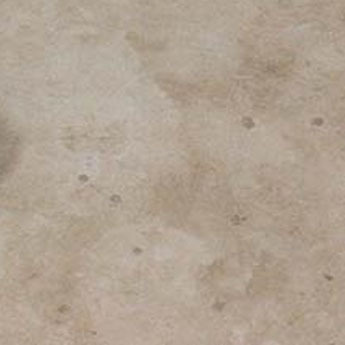 This process creates an even finish and is a popular treatment for natural stone travertine.